Where next? Nowhere, really—a cinema all map, no travel. Here are some addresses, places people live and work, an early visit to a mosque that stands in for every mosque in memory. Ahmed Khawaja has made a religion of nostalgia, but he’s scrupulous about it. Time proceeds, memory folds, and his is some serious origami...The second film carries the initials of both creators, AP & AK: little mysteries carved into a tree, but also something more binding, less prey to whim. You make your mark to signal approval of important revisions in an agreement, and these are detail-oriented filmmakers. These filmmakers are all details. They’re intent on narrating a relationship, much of which is already on record—blocking out interpretations and perspectives, groping for some kind of rearview authority. Maybe if they redefine the players? Play name games, test out different endearments. Eddy K, Omelette. Scramble the ingredients. They visit places of worship—mass, mosque and movie house—exploring the boundary between ritual and performance, toting a camera along in case the god who lives there is not around. Puca stops just short of consummation; Khawaja presses his forehead to the ground. This is a theme. Meanwhile, time makes its presence felt. Their bodies are changing, and they force each other to notice. Puca’s developing, more conventionally romantic relationship hovers stubbornly off frame or awkwardly within it. Khawaja’s visa troubles put a clock on their inquiry, though he treats the problem as theoretical, a question of identity. If he can’t stay here, maybe he’ll go to India, the native land he’s never visited. Anywhere but Abu Dhabi, his origin of circumstance, the place he was born that is not his home. He keeps filming, cuts another version of KWAK. Four years with his face on the screen and Khawaja is back in Abu Dhabi, at least bodily. He’s keeping video diaries, worrying the same corridors like the loneliest ghost. He skypes with Puca. They talk about their film which is the next film which is them skyping each other and talking about their film. 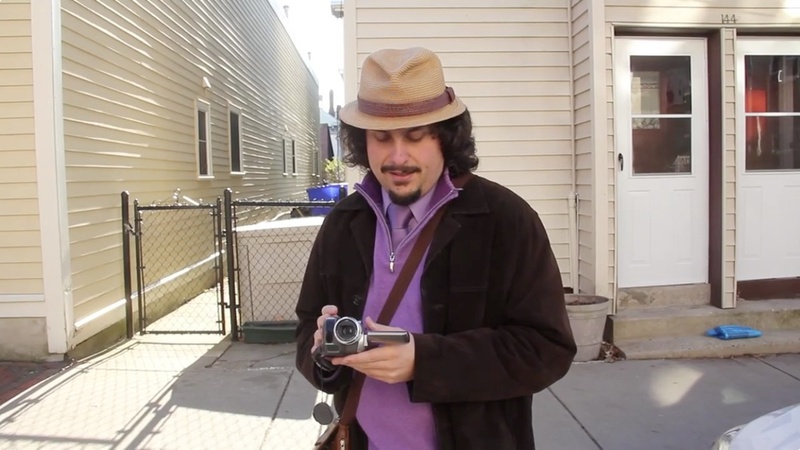 Puca, now adjuncting somewhere in Boston, shoots his own diaries, which devolve into parody. But he is worried about his friend, who sits alone in a room in his mother’s house in the middle of a desert, having disappeared into this vacuum of the self. Can Puca come along? Will Khawaja swallow his own tail? Should all this lingering linger on? Tune in next time, which could be the last time and could be the time before last.